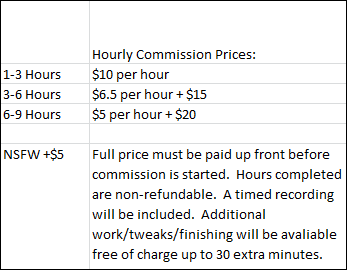 Commissions for Emotional Support Dog - traditional and digital artwork - Furtopia | Family Friendly Furry Forum and IRC Chat! So I’m going to temporarily open commissions to help buy supplies for getting an emotional support dog. My goal is $600, which should cover most costs for the adoption fee, as well as general supplies. You can contact me through e-mail at bkatt500@gmail.com or on deaviantArt, Furaffinity, SoFurry, and Weasyl. Payment will be done via Paypal request. For NSFW commissions, proof of age may be asked.